Man gives present to woman. Young couple having dinner. Romantic birthday party ideas. 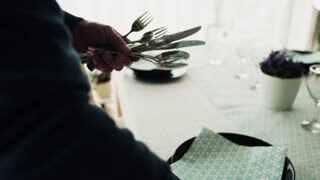 A senior man preparing the table for dinner party at home.